Lunch one day at A.N.D. in Portland and Dinner at Wayward in Seattle!? 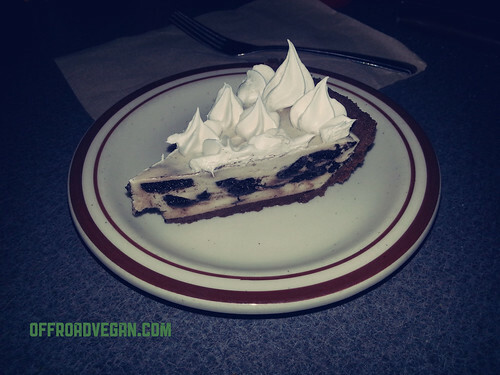 It’s a vegan race up I-5 in this week’s restaurant review double header! This was my second visit to Wayward Vegan Cafe, located in Seattle’s vegan mecca of University Way. When you first pull up, the outside leaves a little to be desired, looking pretty run down and sandwiched between a couple of sketchy bars. And, honestly the inside, while clean, is not much better. 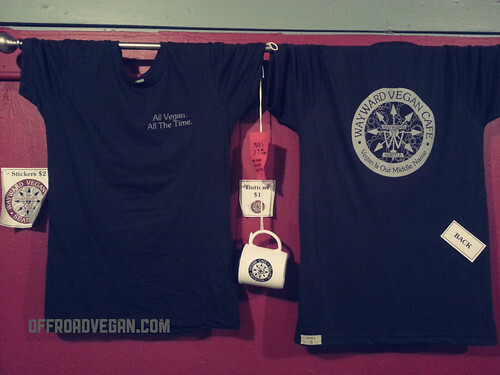 But, once you are over the austere decor, you are in for some truly delicious vegan chow! Wayward Vegan offers more healthy choices, but each time I go, I find myself opting for a more “junk” food experience. It is also really cool that you can order breakfast or lunch all day. The first time I visited, I ordered the “Mac Daddy” which is essentially a vegan Big Mac. Their menu describes it as “Two no beef patties, reuben sauce, lettuce, cheese, pickles, onions, on a sesame seed bun.” It was pretty awesome to eat something so vegan and so bad for you. I also ordered the peach cobbler which quite honestly was not really that good. The nuclear fuel rod temperature it came out at might have had something to do with it, as it was waaaay over warmed. After letting it cool for a long time, I had a couple of bites and left the rest for the compost. 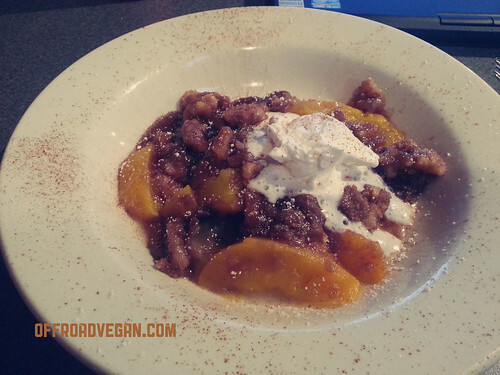 The super hot peach cobbler. On my second visit I was starving. I had just raced the clock, trying to make it by 9:00PM (closing time). I asked the person taking my order what their most popular thing was, and ordered it. I waited in eagerness while my food was delivered. 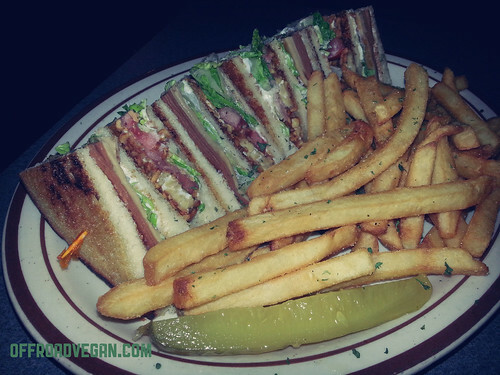 It was a beautiful vegan club sammy! This puppy was huge. Full of tempeh bacon, ham and turkey, on buttered bread, it was also really filling and probably not that good for me. The Club was pretty good. The tempeh was not very bacony (which may or may not be a good thing for some) and I found it overall just lacking some flavor. It was still yummy, but surprisingly missing something. For dessert I ordered the Oreo Cheesecake and it was really good. Not as firm as some of the better cheesecakes I have had, but still tasty and fresh. 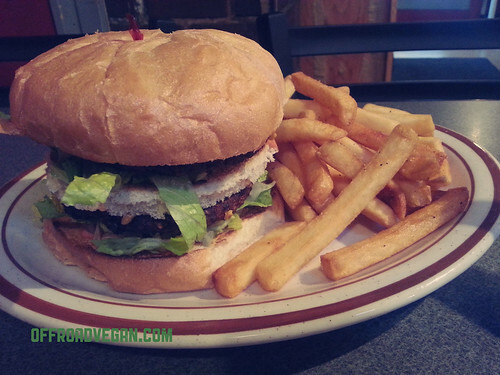 The Wayward Vegan Cafe is a good place to stop for some really “good” junk food. I will most likely check it out once a year or so on my visits to Seattle, but not more than that.